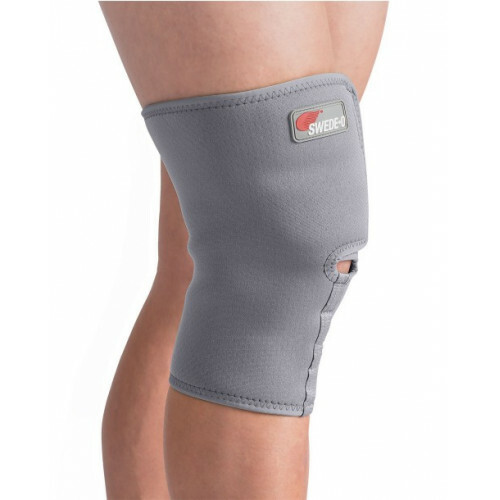 Swede-O® Thermal Knee Wrap is designed with an adjustable closure wrap to allow for greater comfort and fit, ease of use and compression variation for people with Arthritis, swollen and/or fluid on the knee. Swede-O Thermal Supports have a micro ventilated breathable membrane that provides a free flow of air, allowing the skin to remain well ventilated and comfortable. The soft thermal lining captures and retains your natural body heat for effective pain relief and therapy. 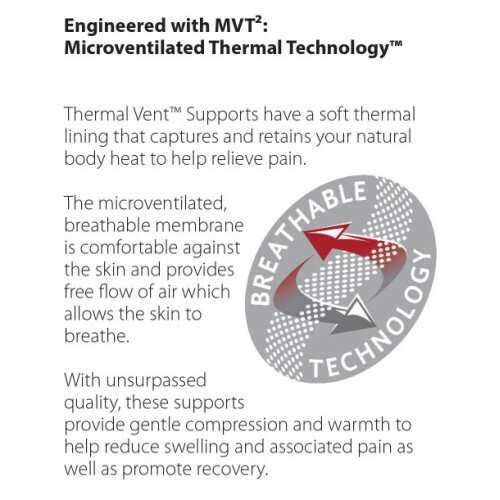 With unsurpassed quality this thermal support provides comfortable compression and warmth to help reduce swelling and associated pain to promote recovery. Swede-O Thermal Supports are a valuable compliment to present methods of treatment. They can be worn almost anytime and anywhere, so they can continuously work toward helping overcome injury caused by trauma or overuse more quickly, giving increased comfort to injured areas and reducing inflammation and swelling. 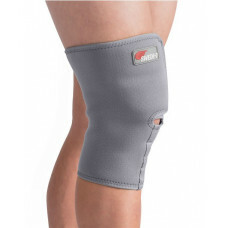 Swede-O Thermal supports are a valuable aid in helping rehabilitate injured tissue. Wearing this product provides warmth and heat therapy which make tendons and muscles more pliable and elastic and allows them to become fully extensible and more responsive to therapy and exercise.